People in attendance at the Grand Ole Opry Tuesday night (Sep 25) were in for a treat! Trace Adkins, Craig Morgan, The SteelDrivers, and John Prine were on the bill, so when this legendary comedic actor walked out, even some of the talent was surprised to see him! The SteelDrivers were well into their set when they welcomed out John Prine to perform his song “Paradise” with them. 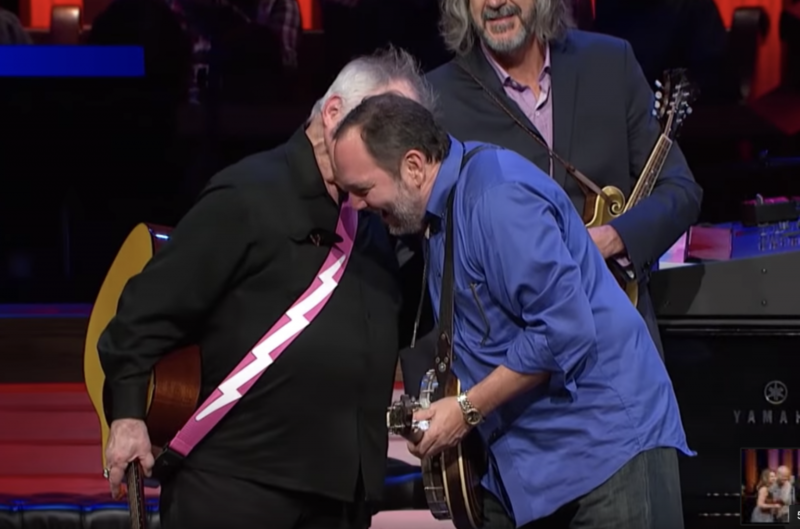 As Prine walked to the stage, he whispered something into banjo player Richard Bailey’s ear – and he looked quite stunned! Bailey immediately walked back to the mic to let the audience know what Prine just told him. “Hey, the news keeps getting better and better! I was just given the news that we have another old friend of the band…we actually appeared in a movie with,” he said as Bill Murray walked out, making some of the SteelDrivers laugh in shock. Murray, a well-known SteelDrivers fan, had the band appear in his 2009 film Get Low – and has even handed out tickets to one of their shows in South Carolina! 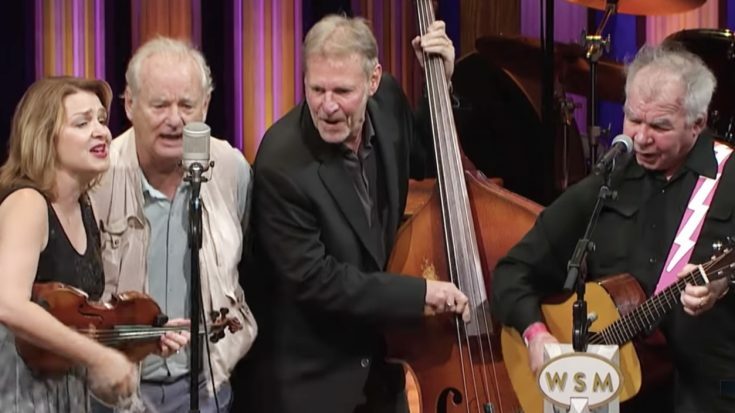 This collaborative performance at the Opry was well received by the audience, who cheered just a few seconds into the song. You can tell just how much he is enjoying himself with his favorite musicians – almost as much as we were, just from watching the video! Watch their full performance below!